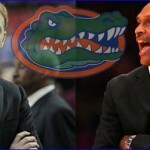 Having to hire an entire new coaching staff after all three of his former assistants departed early in the offseason, Florida Gators head basketball coach Billy Donovan brought in two familiar faces and an established veteran in a relatively short period of time. On Friday, Florida released the assistants’ salaries via records requests obtained by The Gainesville Sun’s Kevin Brockway and the Orlando Sentinel’s Rachel George. Pelphrey’s salary will help offset the $1.8 million Arkansas owes him for firing him with three years remaining on his head coaching contract. The school was set to pay him $600,000 annually for three years but will instead contribute just $420,000 per season.